Barcelona’s paella restaurant, Cullera de Boix, is provided with pasta which is produced by the ninth generation of the Sanmartí family at Caldes de Montbui. Handmade pasta based on durum wheat semolina and thermal water from this Barcelona municipality. 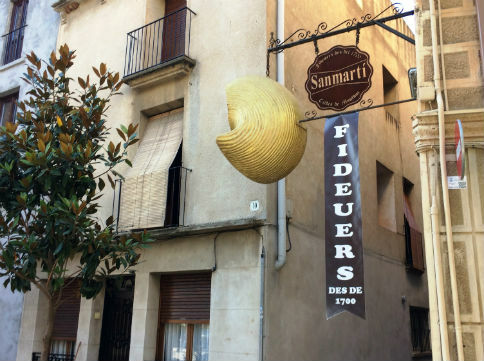 “Just a little and digesting well” is one of the mottos of Carlos Sanmartí, a noodle maker and the owner of one of the oldest companies in Catalonia. “It’s a matter of principles: we make the dough according to a traditional process, with a machine that has been running for more than seventy years, drying by hand in wooden chambers and limited distribution,” the eighth generation of Pasta Sanmartí remarks. Carles Sanmartí took over the business ten years ago, while keeping the product essence. “For me the important thing is respecting the product and the customer,” the owner emphasises. 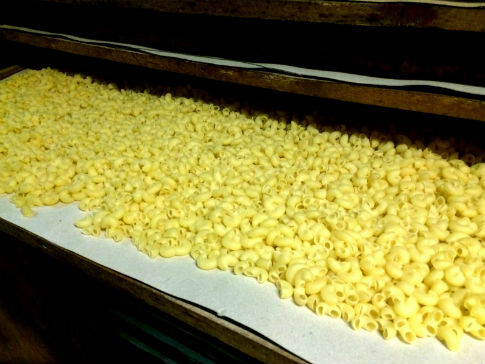 Every day they produce about 1,500 kilos of dry pasta without any preservatives and with a machine that makes the mixture and filters the pasta by means of old moulds, in order to create up to fifty varieties of pasta. The pasta dishes of Barcelona’s rice restaurants, Cullera de Boix, have been prepared with the artisan Pasta Sanmartí for a year now. This product is made with durum wheat semolina and thermal water from Caldes de Montbui. Unlike industrial pasta, neither eggs nor flour are used. Once produced, it is dried manually in wooden chambers for 48 hours. 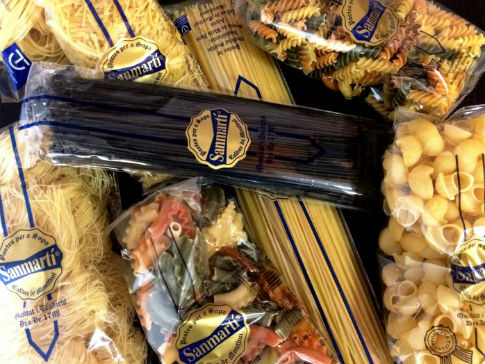 During the season, the Pasta Sanmartí factory is running at full capacity, as most pasta and noodles are sold on Christmas. They also prepare the dough for cannelloni, macaroni or spaghetti, among other formats. “It is highly satisfying to add up already nine generations and, if possible, ten,” Carles Sanmartí mentions. In fact, his daughter, who is in charge of the sales department, has become a mother of a boy who could represent the tenth generation of Sanmartí noodle makers, if he happens to devote himself to the company. Pasta Sanmartí is headquartered in the centre of Caldes de Montbui (in the eastern Vallés region), with a giant ‘galet’ shell presiding over the entrance. 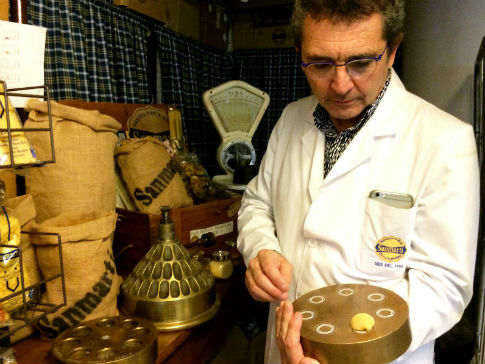 If you wish, which is highly recommended, you can book guided tours to know the value of Catalan dry pasta based on a century-long tradition. Book in the restaurants Cullera de Boix of Barcelona, where you can taste Pasta Sanmartí. Cullera de Boix works with the best suppliers in our region. We guarantee healthy and sustainable food, as we focus on local products. We are what we eat, and we are committed to this principle by offering the best rice dishes and the best seasonal cuisine in the three restaurants we boast in the center of Barcelona.